Biography: Mr. Poopybutthole is a long-time family friend of the Smiths. Rick clearly considers him to have long been a dependable person, although it's uncertain how long they've known each other. He made his first appearance in the episode Total Rickall. 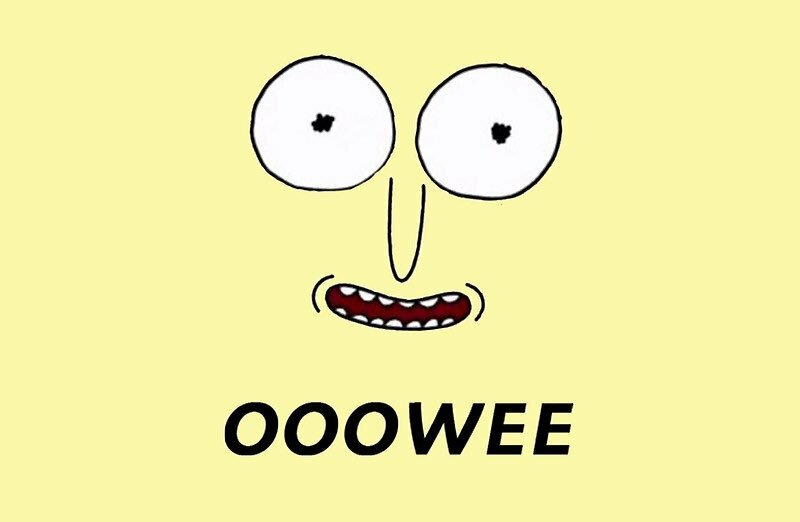 Appearance: Mr. Poopybutthole is a little yellow person with big eyes and a long nose. He wears a black top hat and a blue shirt that appears to be very tight on him, as stretch marks are seen around his neck. He also wears gray shorts and burgundy shoes. He has a high pitched and chipper voice. Personality: Mr. Poopybutthole is a wild, crazy, cartoonish, and zany character who is always going around spewing silly catchphrases and doing funny things for everyone. He is always happy and upbeat about everything and always knows how to keep the rest of the family in a good mood even in the darkest of times. He will only be truly sad in the most miserable and drastic of moments, for instance, getting shot by Beth. Mr. Poopybutthole can be seen edited into the opening credits of the episode "Total Rickall". On the wall of Mr. Poopybutthole's apartment, there is a sign that says "Guns Are'nt Fun" (which one must assume is purposely misspelled), presumably a reference to when he was shot by Beth. 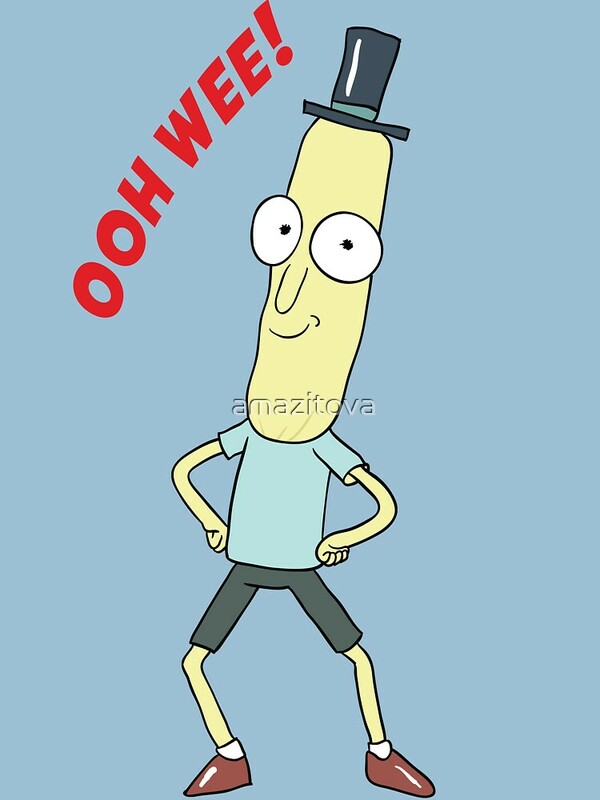 Mr Poopybutthole's catchphrase is "oowee!"